Florence, a wet and unwanted visitor, besieges Carolinas - Integration Through Media ....! 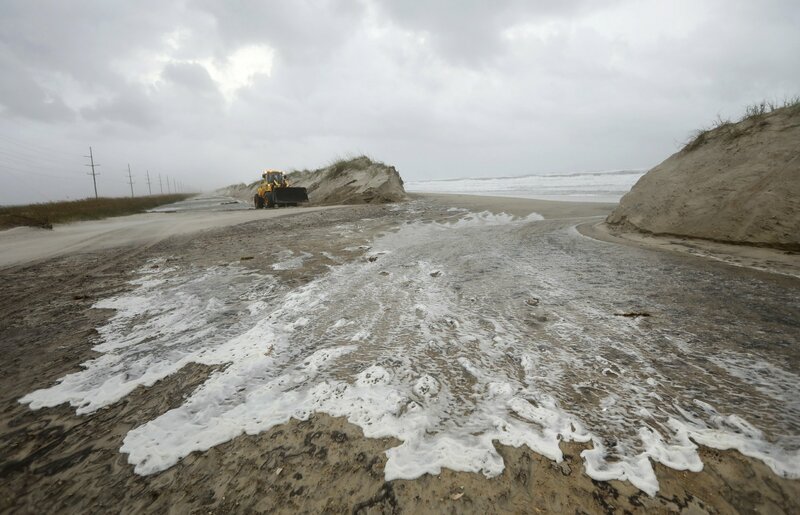 By JEFFREY COLLINS and JONATHAN DREW, MYRTLE BEACH, S.C. (AP) — Florence, now a tropical storm, swirled at a near-standstill over the Carolinas on Saturday, dumping non-stop rain over areas already flooded by seawater and swelling rivers and creeks across both states. Some towns have already been soaked by more than 2 feet (60 centimeters) of drenching rains , and forecasters warned that totals could reach 3½ feet (1 meter), unleashing floods well inland through early next week. At least four people have died, a toll authorities fear will rise as the storm crawls westward across South Carolina. “The wind was so hard, the waters were so hard … We got thrown into mailboxes, houses, trees,” said Holt, who had stayed at home because of a doctor’s appointment that was later canceled. She was eventually rescued by a boat crew; 140 more awaited help.